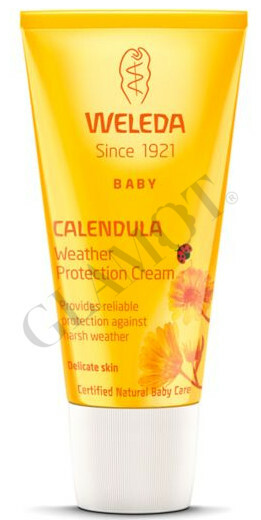 Little rosy cheeks glow in the cold, perfectly protected with a rich, natural balm of Weather Protection Cream. Outdoor babies love fresh air, but delicate new skin isn’t yet ready to provide perfect protection. Top up the natural barrier on their faces and hands with this rich balm containing organic almond oil, nourishing lanolin and a soothing extract of organic calendula. 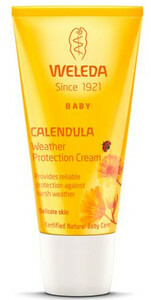 Formulated with midwives, Mums, and Weleda’s own fifty years of experience with baby products. Reliable and efficient protection against harsh weather. Water-free balm nourishes, soothes and creates a barrier against elements. Dermatologically proven skin-friendly even on very sensitive skins. Free from synthetic preservatives, fragrances, colourants, free of raw materials derived from mineral oil.